Set amidst the rolling Cotswold Hills on the edge of Shipton Oliffe and Andoversford, the idyllic 17th-Century Frogmill Inn, complete with roaring log fires and original beams, opened in July 2018 after an extensive refurbishment. 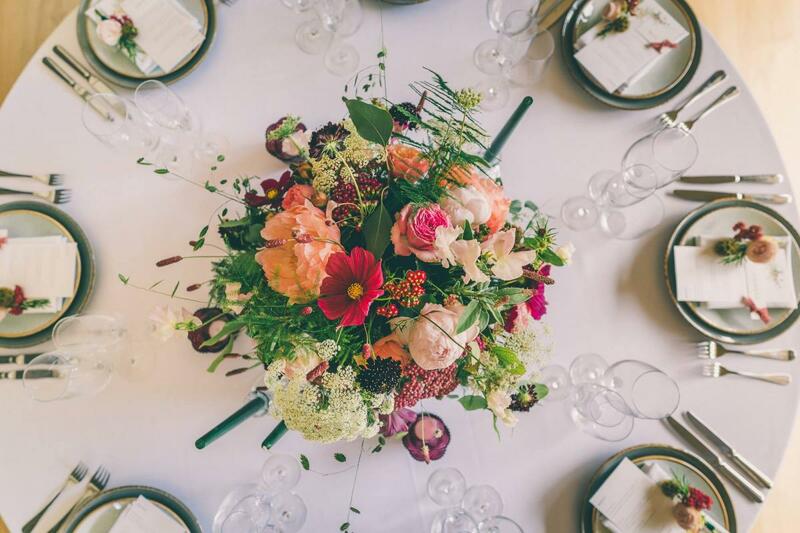 This picture-perfect 28 bedroom hotel, with traditional Cotswold stone and extensive grounds, a river and a watermill, has been sympathetically restored to enhance its original features. 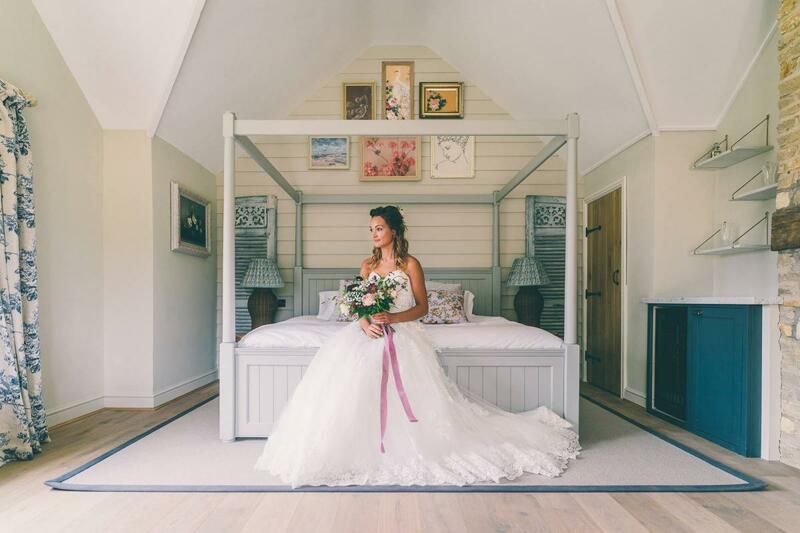 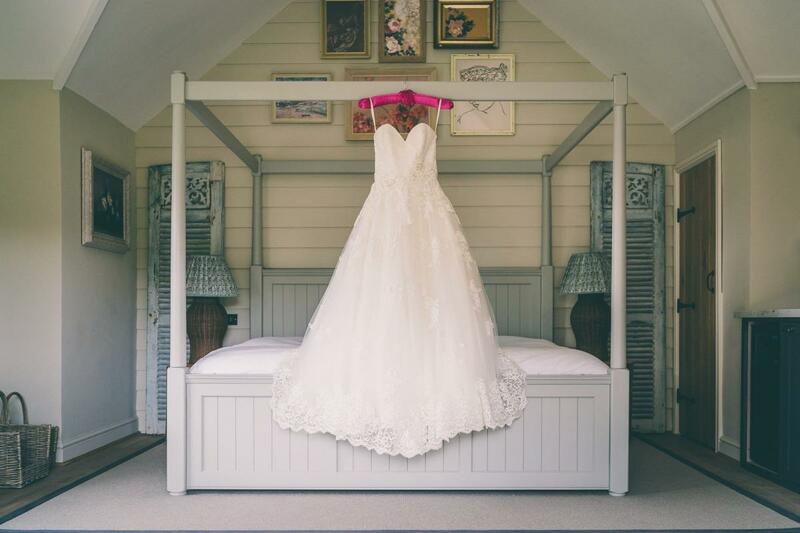 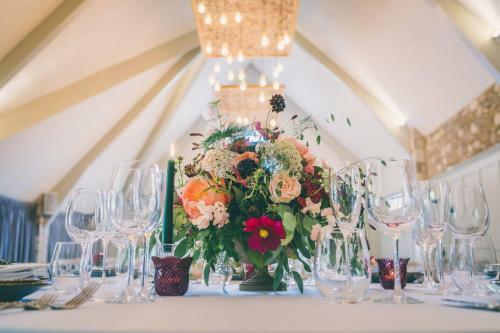 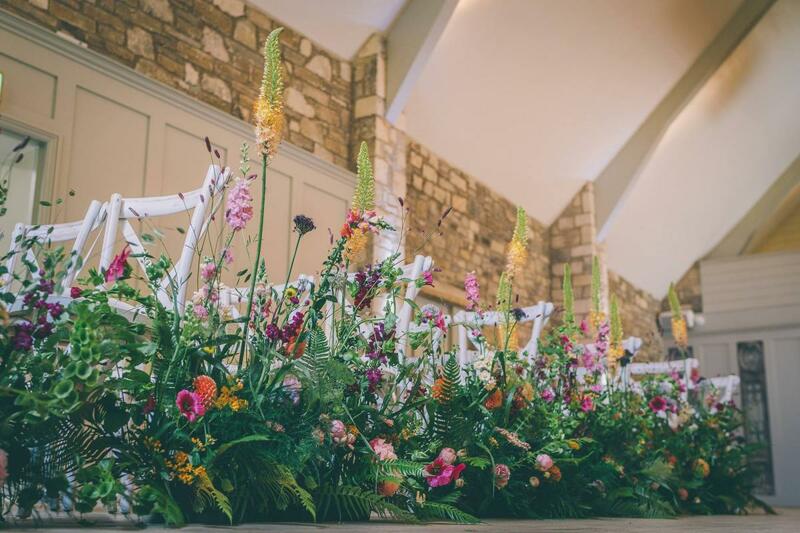 Nestled on the outskirts of Cheltenham with easy access from London, the Frogmill is the perfect location for any wedding of those local or further afield. 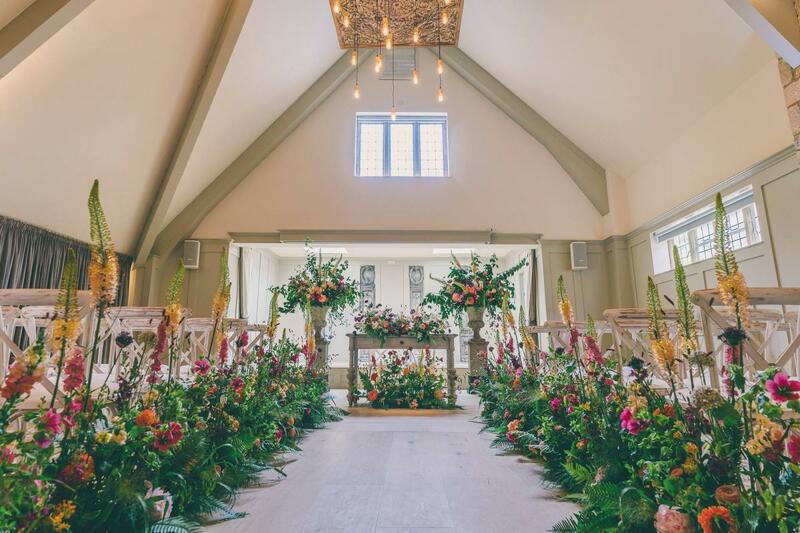 We have a number of areas that will be exclusively yours on the wedding day; the light and atmospheric Mill Room, with its dramatic vaulted ceiling and gorgeous ornate chandeliers, will ensure a lasting impression. 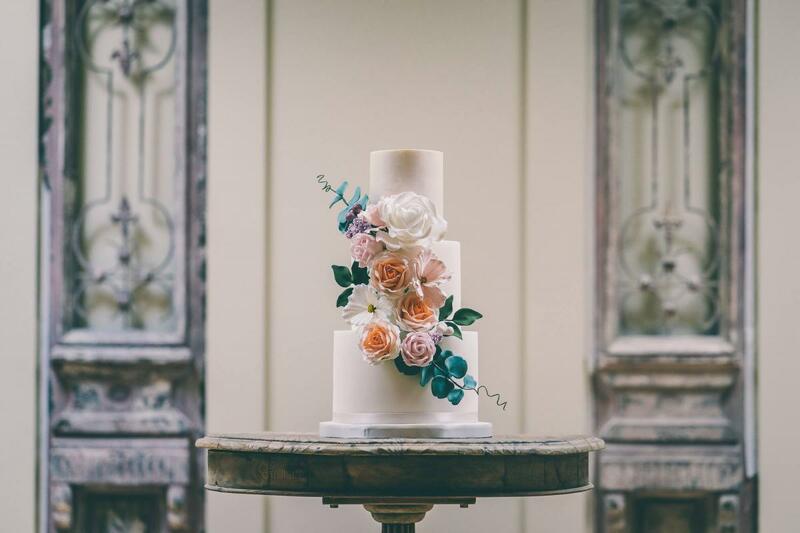 The Mill Room is licenced for civil ceremonies for up to 150 guests, with the Bridal party entering through our beautiful minstrelsy gallery which was imported especially from France and gives a truly romantic arrival. If the weather is kind and the sun is shining – the raised sun terrace overlooking the landscaped gardens is the perfect space to enjoy a celebratory glass of fizz with friends and family. 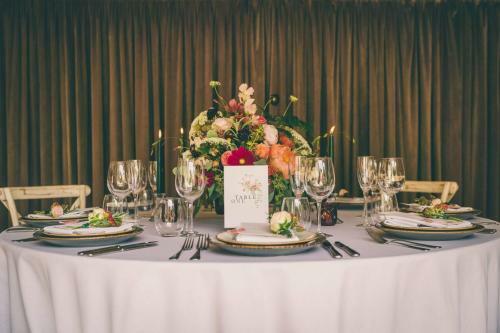 Alternatively, we have the perfect space for your drinks reception inside The Snug – don’t be fooled by the name the room offers a bright and elegant lounge featuring games upon request. 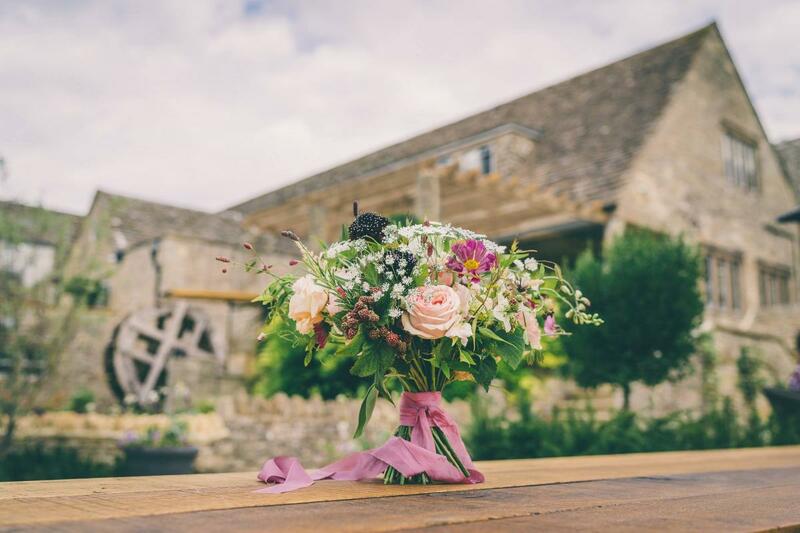 Here at the Frogmill, we pride ourselves on giving you a real sense of luxury, accompanied with cosy sofas and rustic wooden décor, you can enjoy the Cotswold charm and feel relaxed in your surroundings. 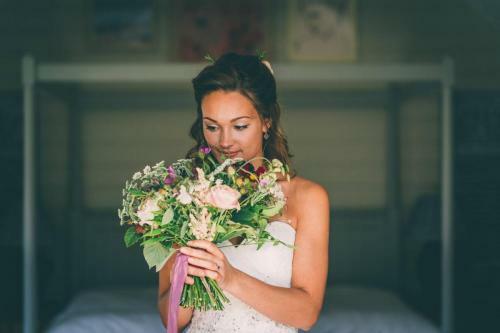 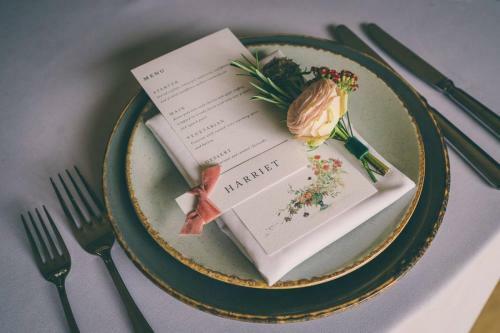 You will have a dedicated wedding planner to help you through every step of the way from the very beginning of your wedding planning – and we will also endeavour to put you in touch with the best possible local suppliers to suit your style and needs.